Sadly, former Mercury, Gemini and Apollo astronaut Wally Schirra died on the 3rd of May 2007. It didn’t reach the Dutch news (not that I am aware of anyway), so I didn’t know until I read it in Chuck Maddox’s email. 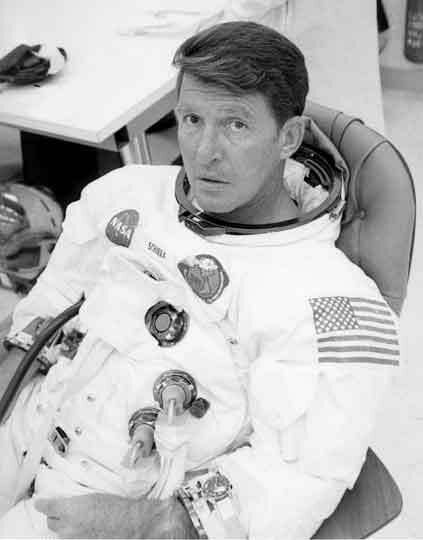 Wally Schirra, picture taken by NASA on the 1st of October 1962. You can read more about Wally Schirra on his Wiki page and here, at WallySchirra.com. On these pages you will see that Mr Schirra had a whole bunch of watches, among them the Rolex GMT-Master that a lot of astronauts preferred, and ofcourse.. the legendary Speedmaster watch (as pictured below). 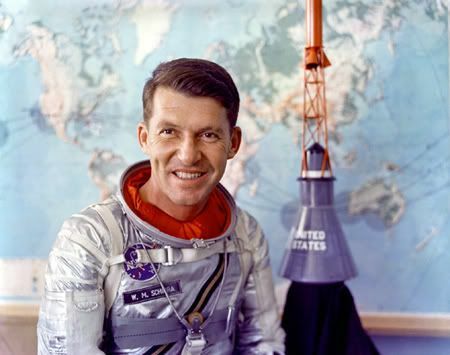 Wally Schirra died at the age of 84.